Every coffee shop in Sydney is unique in its character and style. Edition coffee in Haymarket is distinctive with their Japanese fusion food and interiors. A very cute cafe located at the corner of Surry Hills. Ordered the iced latte under the heat of 30 degree and only afterwards I realised there is a really interesting drink called cascara! Maybe I should find another time for revisit and try that one! A cosy shop along the Kensington Street (where next door is the famous the Old Clare Hotel) and an eatery street. You can find matcha items and coffees here with some healthy options for food. A very homey and neighbourhood corner bakery cafe in Chippendale area with fresh house-made artisanal bread everyday! Almost the first cafe that pops up when you search for sydnet cafes. Basically Henry Lee’s is a cafe with a lovely courtyard surrounded by neighboring buildings. Make sure you come with a booking (you can reserve online and leave the Mobile no. in blank if you don’t have an Australian no. and email them after). They served a wide variety of food with a slight twist. The famous purple taro latte is a bit too sweet and milky for me. A coffee house hidden in a big warehouse in Rsebery (inner south of Sydney) which at first i thought it was located along the street and took me a while to locate it! A very light-filled space with retro vibes. Spacious inside with lots of seating. You can also sit on the shared tables outside the cafe in the warehouse. Easy to park your car around to come for a weekend brunch! Not quite commonly found in Sydney/Melbourne, but we still manage to find this little matcha heaven (a Japanese tea house) in Sydney! They also served very tempting scrambled eggs on toast other than the tea and dessert items. When my first and last encounter of the ricotta pancakes in Bills go to Tokyo, its time to refresh my memory in Australia! (indeed Bills come from Australia) Well, the pancakes here come with slight disappointment when i have high expectations for Bills. The bills pancakes in Tokyo are more fluffy than those in Australia and is more tasty. That being said, the pancakes here aren’t bad at all, just not as comparable with those in Tokyo. A lovely and cosy coffee shop spotted in Surry Hills! I would love to sit along the window all day ! Unlimited supply of sunshine and neighbourhood bakery cafe - my life is completed! . spotted this little cafe ar the chic area in Barangaroo. Unfortunately its closed during my visit. Dukes spotted in Sydney! This coffee shop from Melbourne shift to the North and opened its branch in Sydney Barangaroo. A completely different vibes from its shop in Melbourne, this one in the North is located in modern office tower lobby. This is probably one of the best brunch we had in Sydney. 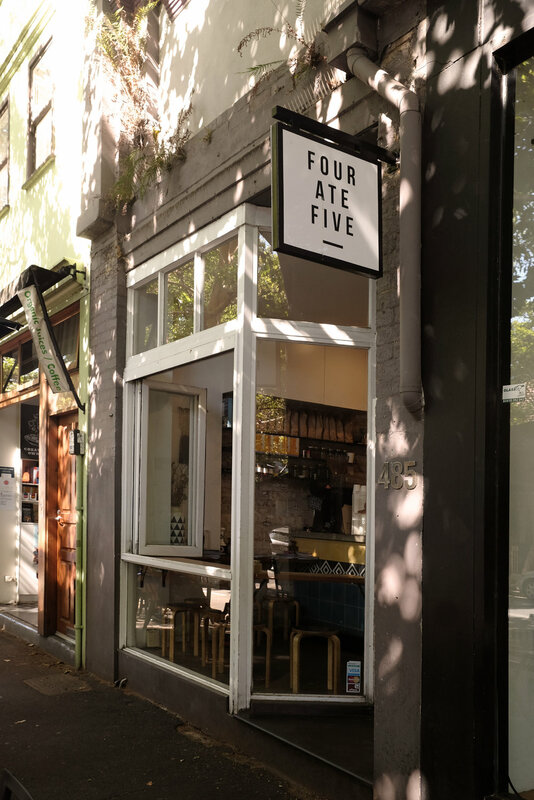 Located in Surry Hills, this chic cafe provides a spacious and airy environment. Food is quite special, favourable and satisfying 𓄼* . A cafe in Surry Hills with its famous matcha lava toast. Recommended if you want dessert and brunch items all together in one shop. who says coffee can't go well with Omurice? . And my omelette isn't any ordinary omelette- it's ghetto style crab and salmon omelette with shellfish bisque (*the bisque and egg combo***!!!) so delicious that I almost need to lick my plate!! Stopped by this cafe on our way back from the Mona Vale Beach to Sydney. This cafe is located on the outskirt (apparently) inside a warehouse. Coffee is pretty legit with pastry and cookies as well. This place is on the top of my visit list and it didn't disappoint us at all! So this is where you should go for croissants when you are in Sydney (when you go to Lune in Melbourne) . A very relaxing cafe serving croissants with coffee. Indeed my first time trying out croissants with ham and cheese inside (not added after the croissants was baked out of oven). All of their savory and sweet croissants look very attractive! Make sure you go earlier enough!